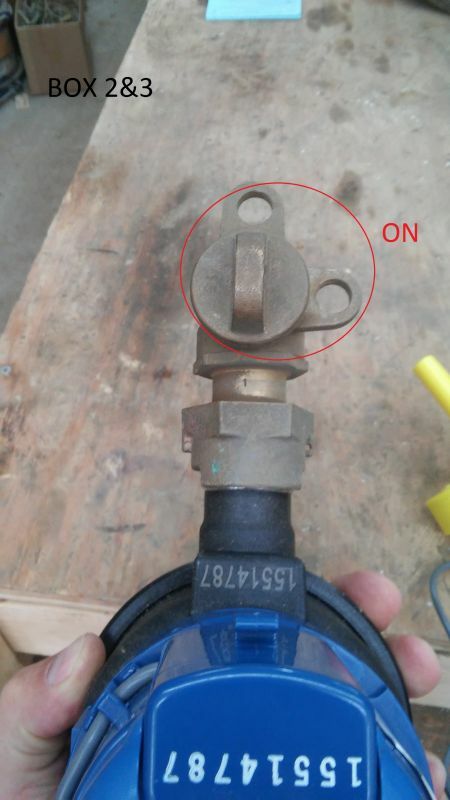 The Leflore Co RWD#2 Water District recomends that everyone has a shutoff valve in between the meter box and residents to shut the water off. 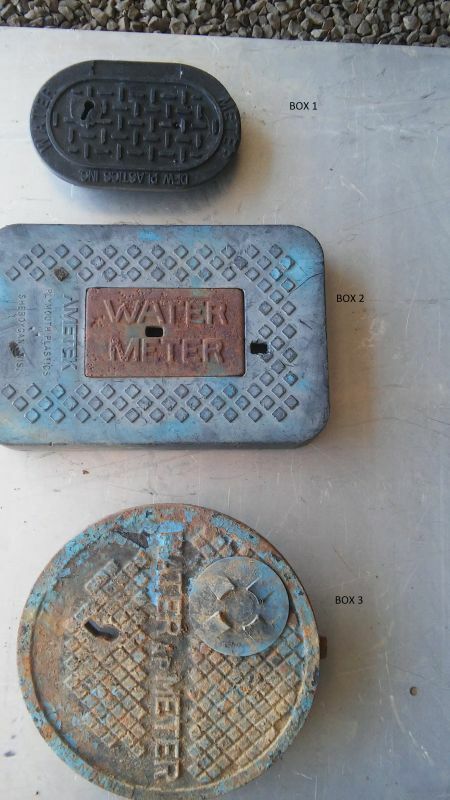 If you need the water shut off at the meter you can call our office and we will gladly come out and shut it off for you during working ours or after hours in an emergency. 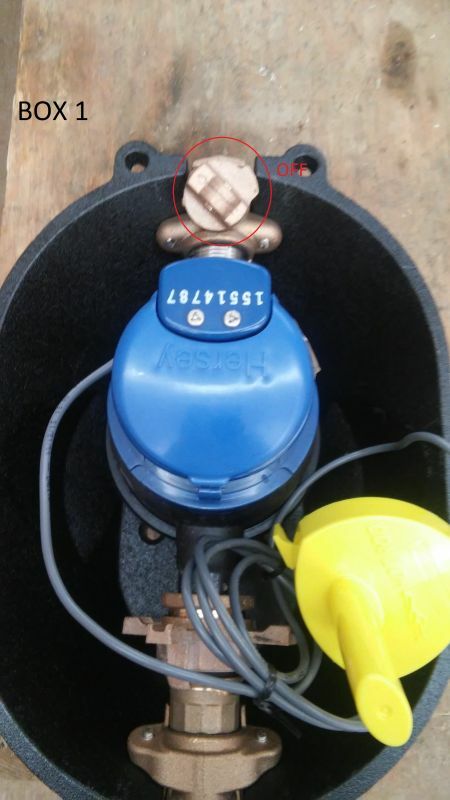 You can also shut it off at the meter yourself if you have a shutoff wrench but we ask that you be careful not to break the shutoff valve in the box. 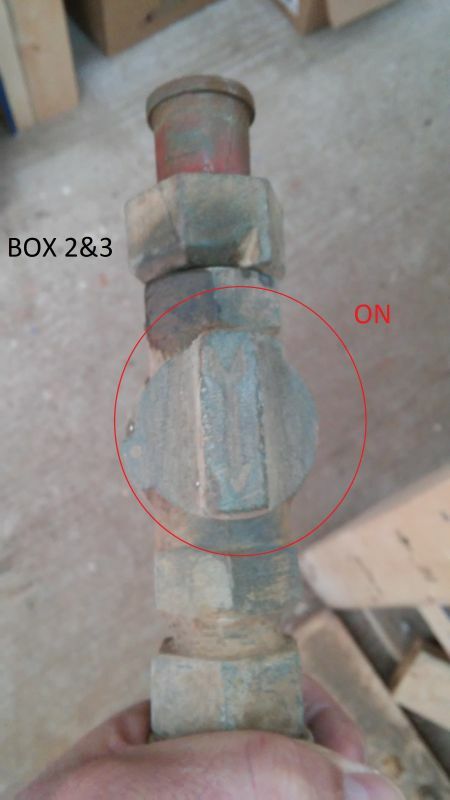 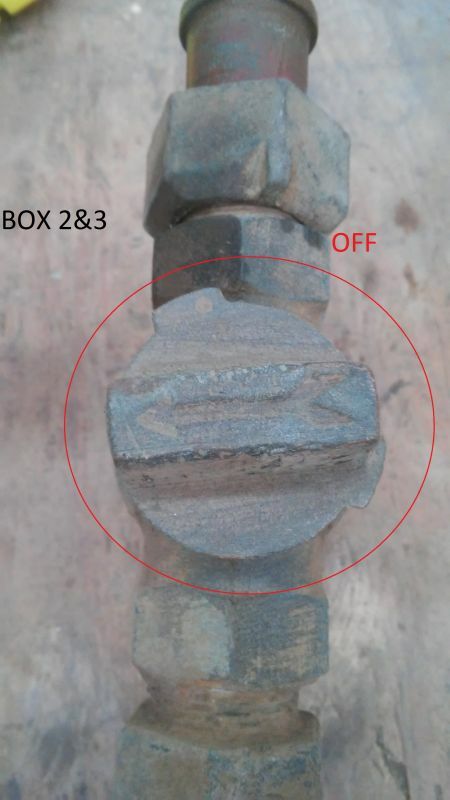 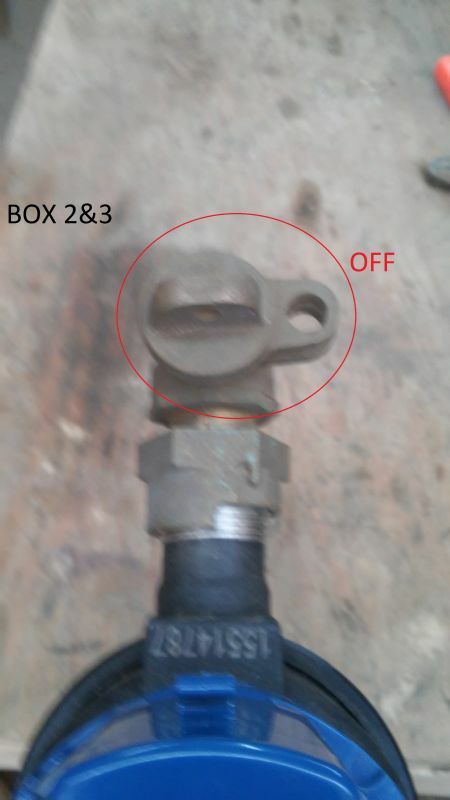 The pictures below shows the types of meter boxes and the on and off position of the valves per style of box.